It’s a rainy August afternoon and I’m in my kitchen cutting up vegetables while my boys build forts in the living room. My phone vibrates in my back pocket and I’m happy to see it’s a friend calling. As I listen to my friend’s words, I am taken back to last year when my oldest son started kindergarten. He loved school and he did so great, but I remember the after school tears, frustration, and boundary pushing. He rocked at school but fell apart at home. I felt frustrated and angry because he was so emotional and defiant. I tried being more strict and setting up more rules, more boundaries, more consequences. But it just got worse. Then, one day I was venting to my Mom about this, and she told me I did the same thing. I’d be so good at school, then crater into a puddle of tears as soon as I got home. Then it all came clear. I knew exactly why my son was losing his cool. When things get hard, we fall apart on the people we feel safest with. Think about it. After hearing terrible news or during a hard day at work you’re able to keep it all together and not cry. But as soon as you see your safe person (husband, mom, best friend) you end up a blubbering mess. Kids do the same thing. It takes a great deal of emotional and mental work to follow the rules throughout the day, especially for little kids. 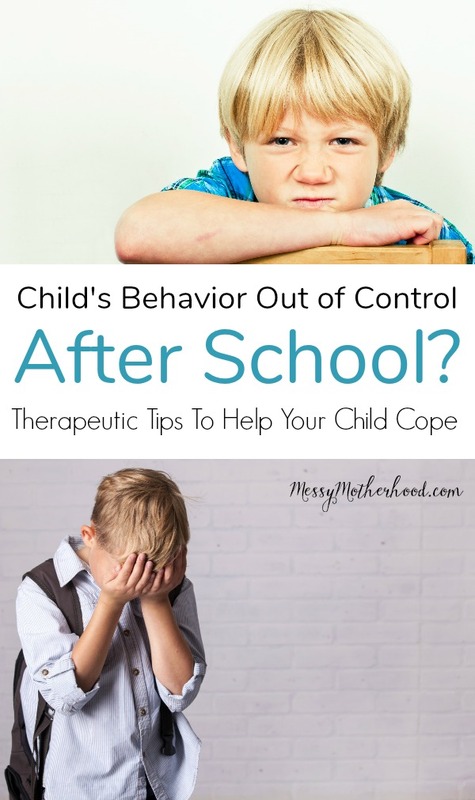 Each time your child refrains from hitting that boy who took his toy, holds up her hand and covers her mouth so she doesn’t speak out of turn, or stops himself from running down the hall to recess, they have to restrain themselves. This restraint builds and builds, almost like a bubble. Then they walk into their safe place, and POP! They can finally let loose and stop having to restrain themselves. They get to let it all go. Honestly, it’s a good thing that your child feels safe enough to fall apart at home. But, as a parent, that’s hard to deal with. It’s frustrating when you have a child who hasn’t had a tantrum in months come home from school and cry and whine about every single thing. How can you help your child with the transition from home to school so they don’t have to struggle, and you don’t get so frustrated? No one likes to be bombarded with questions or grilled about their day as soon as they walk in the door. By asking a ton of questions, you could stress out your child, especially if they had a hard day. Instead of asking them a bazillion and a half questions as soon as you see them, greet them with statements like: “Hey, it’s good to see you again.” and “Welcome home”. Then ask, “Do you want to tell me about your day now or at dinner?” This gives him the power to decide when to talk. Ask questions that can’t be answered with yes or no. These prevent one worded answers like “fine” and open up a conversation about school. Please connect and ask, but do it at a time when your child is ready to talk. Hangry (angry because you’re hungry) is a real thing. When our blood sugar gets low and our tummies grumble it’s understandable that we get snippy and short tempered. Just assume that your child is hungry when they get home and have healthy snacks that will give them energy and fill them up. We do a lot of fruits, veggies and ranch , yogurts , nuts, and of course a big glass of water. When I’m at a loss for what to feed them, then I whip up a smoothie or a quick snack from here. When your child’s stomach is full, they are less likely to be frustrated and angry. Give kids time to be kids. Allow them to have time to play and let loose. Don’t spend time after school doing swim lessons, soccer practice, and running all the errands…at least for the first few months of school. Get them home and let them relax and play. Children need to play, it’s how they process their world and handle their stress. So, on particularly stressful days, it’s important that they get time to play. What is it that your child needs? Is he an introvert and needs time alone to decompress? Is your child a mover and she needs to run, hop, and play? Whatever their play needs are, give them time and space. My son loves listening to audiobooks and building with LEGOS. So I make sure to give him lots of time to build, relax, and unwind after school. I know it’s been a hard day, but that doesn’t mean that rules have to go out the window. Be consistent with your family rules and consequences. Children thrive in situations when they know what’s expected of them, so keep as much of the home life as normal as possible, including your discipline techniques. Make sure your consequences are related to the crime and that your child knows what happens when a rule is broken. Learn how to make consequences that work by attending this free webinar. Your child has been away from you all day long and they aren’t used to the new routine. Things feel different, they might feel insecure about things, so they push boundaries or become overly emotional. The best way to combat this is to connect. Find a way to spend one-on-one time with your child. This doesn’t mean hours of your time, 10-15 minutes will do. Put down your phone, step away from your to do list, and focus on your child. This is not the time to grill your child about their day. This is the time to be present, to play, to connect. Let your child decide how to spend this time and enjoy it with them. Filling your child’s attachment tank is the best way to handle negative behaviors. It tells your child that you’re here, you’re safe, and you think they’re important. This book by Dr. Laura Markham gives great insight into why connection works and how to build it into your daily life with kids. It’s on my must-read parenting list. I’ve also started using a between you and me journal where my son and I can write and draw to each other about our days. It helps us stay connected and he can tell me things there that he may not be ready to tell me face to face yet. I find that it’s a wonderful way to stay connected with him, especially on the long school days. We use this one for boys , but there’s also a great one for girls too! First grade starts next week, and I’m nervous that my son will come home and fall apart. But, I’m ready for it this time. I can see that it’s normal, it’s good that he feels safe, and there are things I can do to help him with the transition. It’s also very normal for you to feel angry and frustrated because of the after school attitude. If this happens to you, check out my 50 Calm Down Tips. They’ll keep you calm among the chaos. Before you go, I thought it would be helpful if you had your own copy of these tips. 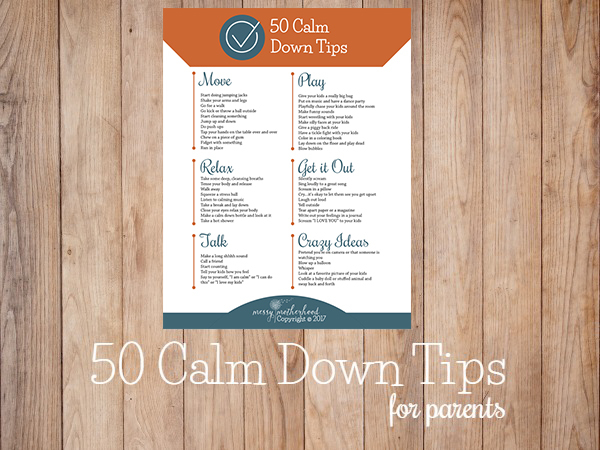 So I’m giving away a printable copy of the tips for you to have when the kids get home. Tape them on your fridge or keep them in the car to read in the pick up line. Just click the button, fill out the form, and check your email. It’s just that simple! Great tips! We always have the hardest time with our son after a long day. Thank you! Thank you. Good luck with your son! As a preschool teacher, I knew that this was a common and healthy pattern of behavior, for exactly the reasons discussed here. What worried me was the cases where the child was not so good at school, and parents said she/ he was perfectly well behaved at home. Yes, that does certainly happen too! My son is pushing boundaries at school. He just turned 5 and is the youngest kid in year 1. But he is better behaved at home. What can I do to support him so he is better behaved at school and learns well? When we had our twins, our fifth grader who was always good at school but bad at home, started to act up at school because he had to be on his good behavior at home! Yep – they say that a lot. My son just started K last week. He loves it but I know it’s stressful for him too. The past few days he has had meltdowns BEFORE school – as soon as he wakes up! Do you think that this is for the same reason — kind of in anticipation of the hard day of school? Yes, this happens a to lots of kids too. I bet the anticipation and nerves are playing a part. I’d say continue to connect, give lots of hugs, and have as calm of a morning as possible. When my son is feeling nervous, I try to give him something to look forward to after school, like promising an after school bike ride, a trip to the park, or ice cream. That seems to help him when he’s feeling nervous. Great article! One of my daughters was just like this and we used some of these strategies with her. 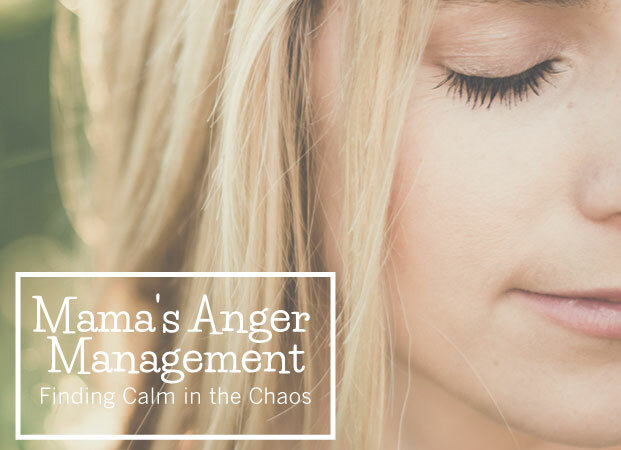 As she got older we included her in the discussion of how to deal with her stress- she learned how to recognize it, come up with solutions, and implement them. She’s in 8th grade now and hasn’t had the “back to school blues” in a few years. Oh that’s so good to hear! What a great idea to help her learn how to deal with her stress, good job working with her 🙂 It’s so nice to hear that things do get better. This is fantastic. Thank you! I struggled with this for years before a teacher friend told me that my son’s behavior was normal—he had to keep it together all day at school and then would let everything else out once he got home and was in a more comfortable space. That knowledge, and the tips above, have helped us tremendously. Thank you for this! My oldest started Kindergarten last week and I have been noticing this exact behavior. He’s doing outstanding at school but when he comes home he’s been completely out of sorts. 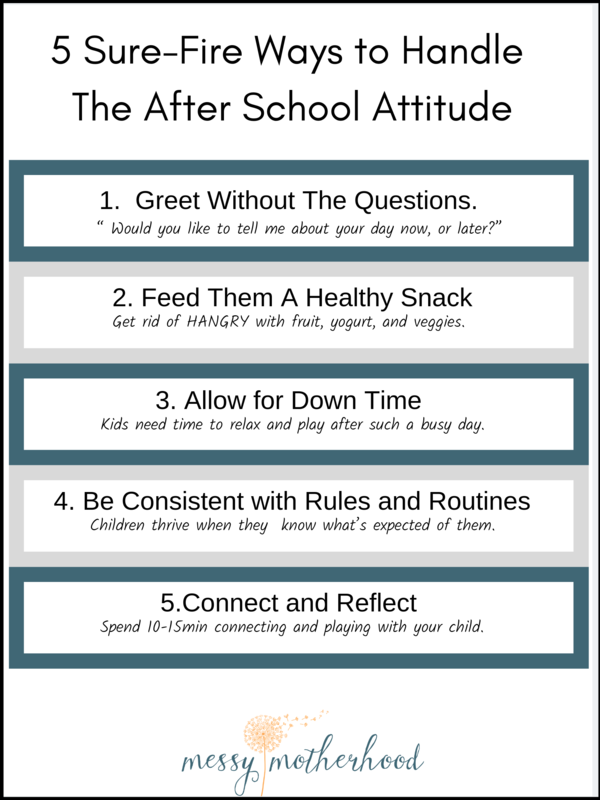 I had no idea about “after school attitude”! It’s nice to understand what’s going on. It surprised me too, and I’m honestly surprised more people aren’t talking about this. It’s so common! I used to ask my daughter “Did you use up all your good behaviour at school? !” Imagine my surprise when she said “Yes!”. Makes total sense. My experience is that the school environment is so conformist and high pressure these days that kids totally decompress when they come home. This got increasingly worse and aggressive over the years that finally in when my eldest was grade 5 I pulled my kids out of mainstream school. We homeschooled and destressed for 5 months and they now go to a beautiful school that they feel safe to “be themselves” – afternoon meltdowns are now a rarity. That’s amazing to hear! Thank you for sharing your experience. A great article indeed it helped me wd many issues wd my 6.5 years old. I hv few rules at home n she knows she has to follow them i dnt compromise on them yet i hv to yell every day to make her do those particular things, wt can b the possible reason n how do i handle that??? Oh that sounds so hard. Trust me, I understand the anger and yelling. Check out the free webinar that’s linked above under the consequences section. 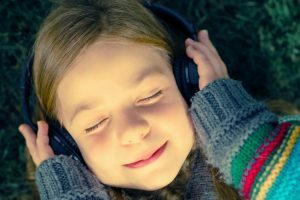 It’s called “How to Get Kids To Listen Without Nagging, Yelling, and Reminding” and it’s golden! She covers everything so well. We have had this same problem with our daughter. It started last year in Kindergarten, but has continued through the summer and into 1st grade now. Is it normal for this to last this long? We are so exhausted and drained from the difficult evenings. We have even sought out counseling assistance and OT, but neither have seemed to help much. Hey there Kelly, it’s hard to say without knowing your daughter. My guess is that there might be more going on, especially since it has continued through the summer. The school counselor can be a great resource, I’d have a chat with her about your concerns. Thank you so much for this article! I have a daughter just starting second grade, but on day 2, the crying and sobbing started just as we got in the door. Over the summer this behaviour was non-existent, so I’d forgotten that we were trying to cope with this in the last term of grade 1. She, too, gets rave reviews from teachers, does well in school and enjoys going in the morning. I will try implenting your ideas. Your words really hit home for me. I often pick up my Grandchildren after school. I have found that instead of asking a lot of questions, I wait until we get home and are having afternoon tea, and then just go around the table and say “tell me about your day”. Works much better than 20 questions! I also firmly believe that children’s bed times should be adjusted when they are back in school. When my kids are teary and prone to outbursts, or temper tantrums I can usually blame it on a late night, early morning or bad sleep. Just a thought! From a mom of three young boys! YES!! Bedtimes are super important. Wonderfully said! Thank you for the reminder. Thank you so much for this. It is so true what you write and i will have to reassess how i approach my daughter when she comes home from school. I have shared this on my childminding page and it is very popular and strikes a note with many other mothers. Great read, but I also think that when kids act out afterschool with anger – parents need to listen. Sometimes our kiddos are trying to tell us something – like they have anxiety, school is overwhelming, and as parents we need to listen to those valid signs. Oh I agree! 100% There can absolutely be more behind the emotions and it is important that we listen and pay attention to not only the things our kids say, but also don’t say. Thank you so much…it all makes sense now. When did school get so hard? My daughter is now in the 8th grade. I never make her do her homework as soon as she gets home. She gets a snack and sits down and decompresses. Kids don’t want to go to school all day and come right home and do more school work. So I let her decompress and let her do her work when she is recharged. Your brain stops processing things after 20 minutes, and need to refocus. I always noticed that my daughter would start giving me problems a few short weeks right before school, and I know it’s her way of detaching from me to make it easier on me and her when she is gone all day. Good luck to all those moms! Cannot tell you how timely and helpful this is…had worst afternoon ever with my 5 year old new kindergartener. Feel better equipped to understand and handle him now! Oh. My. Gosh. This is EXACTLY what I needed to find in my inbox this morning!! My son started JK this week and I noticed this behaviour after just 2 days! I figured the new routine was the culprit but was feeling stressed and like I was possibly doing something wrong. I love your 5 tips and will implement them today! Generally, we wait until dinner time or at least some time significantly after the kids have gotten home to aks question about their day. We usually start with the “fun stuff” questions, like about lunch, recess, and Specials. Then I follow it up with the most terrible, worst thing they learned or happened all day. My kids usually get a kick out of that question, because it is abnormal, but it is important one to ask, because sometimes there is a big issue, although most times it is relatively minor. Then we ask about the best thing learned or happening, because I want to end on a positive note. In regards to consequences, it is really important to thank and reward (depending on the issue at hand) children for being honest with you when they tell you what they did wrong. In the past, I would verify what my child did these with the teachers, so that I knew if the truth was told. If the truth was not told the consequence was worse. Our kids know this and so they know to be truthful, honest, and forthcoming, so that now when my kids tell me they were trouble, but didn’t really do it, I can believe them. I think and hope this will play out when they are teens and we will continue to get open and honest answers from them. I don’t yet if it will work, but I hope so. I found this article to be very enlightening, as I am a Great Grandmother to some 8 children, 4 of them very close by and I can certainly see that grilling them about their day, their thoughts, the activities, etc. , even though we are very interested in same, can be very difficult for them to cope with. Thank you for helping ME out in this respect. I’ve been feeling like such a bad mum cause I had no idea how my happy go lucky child turns into a screaming mess as soon as we get in the house. This makes perfect sense! Now just need to work through the homework screaming sessions and we’ll have peace on earth once more. Great points to ponder and apply. My 2 cents worth. If it is possible to have your children home for lunch, do it. It breaks up the day for them, gives them a quiet place for lunch and the benefits far outweighed the intrusion into the middle of my day. I looked forward to seeing them at lunch. It was a highlight in my day. I would LOVE it if my kids could come home for lunch, but there’s not enough time during the day in a typical US school for that. I think they only get less than 30 minutes to eat. But, I do think that would be a great solution! I live with my only son. Me and my son are the family. He feels alone when at home. Wants to play with someone. He gets frustrated. And I unwillingly have to scold him. What should I do to handle the situation? Can you see if there are other families like yours in your neighbourhood to make friends with? That way your son gets some play time and you get a bit of a mum break so you are better placed to fill his needs the rest of the time? 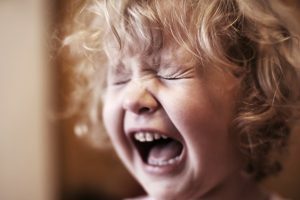 How do you compromise between the need to destress and the “temper tantrums are not an appropriate way to express your frustration/anger”? I know my kids (6 & 8) have stressful days and need to let go at home, yet at the same time yelling and screaming at the drop of a hat is not how I want to be treated. Thanks for sharing, very enlightening and I am glad you added the points to help resolve the scenario. My son and I have consistently butted heads after school, so I will work through your approaches. Oh I hope they help! I’m a grandmother and living with my daughter, son-in-law, and our 16 month old granddaughter. We’ll be waiting to see what happens when she goes to school and we’ll have to try your approaches. I remember when I was a youngster and visiting my cousin for the weekend. If anything was bothering me, I’d keep it inside of myself. As soon as my mother would come to pick me up to take me home, I would whine and cry. I would hug my mother and I guess because she was my safe zone. Did you ever hear about the young boy who fell off his bike and never cried? He ran home and as soon as he got into the house, he burst out crying. Shared this on my Facebook page today and it is blessing so many mamas! Thank you! This! Thank you for this. You so eloquently explained what I thought I was alone in experiencing for the 12 years that my daughter has been in school. I can’t fully express my gratitude for the additional insights and advice. Once you understand the nature of the beast, you can tame the beast! Thank you so much! Now, go tame the beast! Thank you for the great article and perspective on this subject! Yesterday I got caught off guard with a meltdown after my seemingly innocent ”how was your day” open ended question – before we even got out of the car. I now see that it can incite a flood of emotions if the day didn’t go so well. Going to have to keep that list of questions in the car so I don’t forget them! I look forward to reading more of your insights! Oh man, I can imagine how shocked you were! Poor kid must have had a hard day. I hope these tips help! Thank you! I homeschooled my kids, so the behavior you describe has been a shock coming from my sweet 5-year-old granddaughter who lives with me. I know her days are too stressful and long for her age, but I can’t change that for her right now. I already follow most of your tips, but I’m going to be much more aware now. It helps simply knowing it’s a common issue. Thanks again. You’re welcome. I agree that it feels so much better knowing you’re not the only one struggling with this. I hope your granddaughter starts to feel more at ease. I really need the tips! Thank you very much! My two eldest are on the spectrum so I’m very familiar with this phenomenon. They hold everything together during the day and then, as my son calls it, they “cut loose” at home. It is great to know they feel safe here but I would love to have a little less angst here each day. These tips are really, really handy – thanks so much for sharing! WOW! This makes so much sense and sounds so familiar. Thank you for putting it into words. 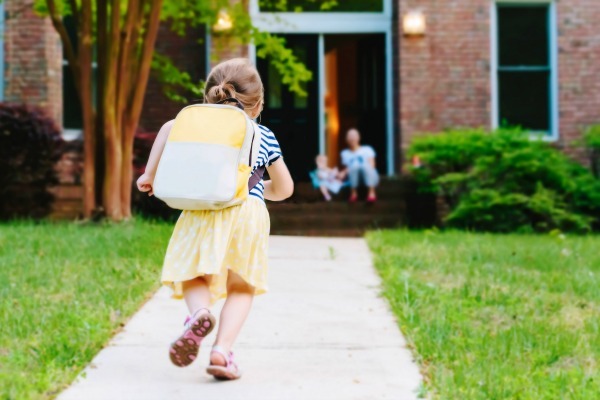 In addition to the awesome tips on the article, I’ve always found that pushing bedtime earlier, even if by just 30 min (although 1 hr works the best for my kids), for at least the first month of school helps tremendously with diminishing the meltdowns. With all the added activities, learning and stress their brains need to shut off and their bodies need to recooperate! Hope that helps! It surprises me that nobody seems to realize that perhaps these little people aren’t ready for such a setting. Isn’t it possible that separating these children from their parents and siblings and placing them in an unknown environment with strangers might be unhealthy for them mentally and psychologically? These signs are the result of the stress and anxiety caused by institutionalizing children who, developmentally, still need to be at home to learn and be loved by mom and dad. I was thinking the same thing! I know everyone should or can homeschool, but those early years are so important to play and bond. But from posts here, it seems that this isn’t just a problem for little ones. Its tough having that much pressure too conform all day long. I’d want to cry & be alone after enduring public school day after day, year after year. I was a great public school kid, but i remember after school, running wild like a penned up animal after the doors let out, then wanting to veg out & not talk to anyone for an hour afterwards. Thankfully, that worked out ok bc we were latch key kids & i didn’t have any parent asking me 20 questions after school or making demands of me. Yes! I agree! It’s depressing to hear everyone say the same thing. I don’t think this is normal or should be considered normal. If children are acting out, there is a reason and chronic stress is not healthy. Many schools have eliminated recess and many children have little to no opportunity to have physical movement in their day to release their energy. Not normal and not ok. We should be looking at the common source of stress ( the American school environment) and be asking ourselves and our school board officials how we can best serve our children in an age appropriate and developmentally appropriate way. 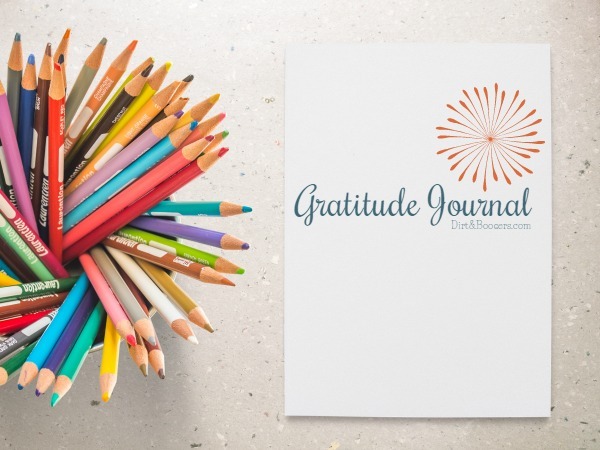 I understand that we cannot shield our children from every source of stress in life and nor should we, but I think our system leaves a lot to be desired if the end result of that time is chronic decompensating. Again, not normal. I hear what you’re saying. My kids attend different, small private schools and they both come home so out-of-sorts that it’s kind of absurd that we send them at all. However, they both claim to love school and would never dream of missing a day. If school gets cancelled for weather (hurricanes, not snow days! ), they are both so sad about all the things they’re missing. My oldest, “I don’t want to miss my Greek and Latin test!” and my youngest “Today we would have had art. I also want to finish my panda report!” My oldest has 12 kids in her class (tiny classroom) and the middle one has 18 kids in her class. They both come home so strung out and grumpy. On the weekends they play beautifully. After school they are constantly bickering and grumpy. Finding a balance is tricky! I do a lot of playful parenting. If they get in the car and immediately start barking about some inane thing, I make them get out and then I chase them around the car two or three times before we get in and Try Again. I’ll make commentary like, “That first time didn’t sound quite right, I think the engine of the car must be broken or something. Our car does not sound like that.” Or “There are angry cats in the car! Everyone get out and run to that pole over there, maybe that will scare them away.” It helps me deal with it all a little better, but it doesn’t solve the problem. I still have angry, disconnected wild beasts after school to contend with M-Fr! Going home for lunch sounds like a divine idea–too bad schools wouldn’t give long enough lunch breaks for that kind of thing! What a good article! I’m thinking of saving it for Autism Awareness month, because as a mom of a kid on the spectrum, this is my experience every day, not just back to school time. During “awareness time” I see very little that actually explains families’ experiences, but being able to use this is a good start. “I felt frustrated and angry because he was so emotional and defiant.” is my daily norm, without respite. I have no room to get frustrated; I must consistently use strategies like the ones you outlined in the article or my kid spirals. It’s rough and I feel isolated because much of parenting culture does not apply to me. That’s why this article is validating and relieving, because it does apply, I can relate! All the time! What do you think of screen time as part of down time? My daughter LOVES to chill out and get lost in games on her IPad when she gets home, but my son gets frustrated and cries and yells (he’s only had the iPad a few weeks) . He is this way about anything that doesn’t go his way. We have just started the school year, so now’s the time to set a screen schedule… What do you think? Thanks!! I have the same problem with my 6 year old son. His teacher says that he’s doing fantastic at school, but he melts down over small things at home. He has a speech delay and is in a special day class, he also feels left out in the main stream after school care. He was grinding his teeth and having nightmares. It breaks my heart that I don’t know how to calm him and make him feel safe. He’s been in school for almost a month and the nightmares are still going….do you have any tips on how I can help him? What if your child was bad in school? How do you punish them if you aren’t talking about it until dinner time? Thank you! This helped so much. My daughter started Kindergarten and we’re going through the exact scenario you wrote about. None of my friends are going through this with their children so I felt like it was our isolated issue. I’m definitely an offender of peppering her with questions right after school because I was concerned how her day went. But I realize now she needs her time to decompress (just as I would). Thank you again. My husband and I separated during my daughter’s summer vacation… it was planned a while before but it was still unsettling for her. Now, add to that the start of school, and it’s a stressful time. My heart breaks for the emotional mess she’s going through… and I’m trying to be understanding … this article helped me feel less alone with the acting out… thanks. Ugh, the first suggestion you offer I was doing all wrong! I’m so eager to know about my daughter’s day that I’ve been unintentionally bombarding her with questions when she walks in the door! Thanks for the great tips – going to give them a try! Put them to bed earlier too! We bumped bedtime back by almost 2 hours for the first month of school. The kids were asleep instantly and had a much better day. This speaks to me! My daughter is in half day kindergarten but when she comes home it’s like a little monster has taken over. She is clearly exhausted and I’ve learned some of your tricks just from struggling throughout the school year. Great blog! I think part of my issue with after school is I’m so excited to see them and want to know all about their day! I missed them I’ve been by myself and so I’m craving that contact. The contact that they don’t need because they’ve had 6+ hours of rules and social interaction and just need some breathing space. So it’s good to remember that it’s about them, and what they need, not about me. Oh yes! I know that feeling. This is great and so timely! One of our biggest problems is that my 4th grader and my 2nd grader fight like crazy in the car ride home from school. I know it’s because they’re both stressed, but I just want to get home with out the screaming (first from them and then from me 😉 Any advice? My daughter does this every day after preschool. I have that many kids do this but I don’t SEE it from them, so this was a helpful post and all the comments make me know I am not alone. I also got a new perspective on it. Her meltdown occurs during our 20 minute drive home and she is usually over it by the time we go in the house. I am going to reframe my thinking about this to be grateful that we have the time with just the two of us for her to decompress. I am always hoping today will be different, but it rarely is. Maybe rather than trying to make it better I can just give her the space to vent as she clearly needs it. And, snacks definitely help. Thank you for this article. I needed to read this. My little one started Kindergarten and comes home with an bad attitude and crying. He also started copying other kids in school and uses language or actions I am not used to seeing on him. Not sure how to react sometimes. Any helpful tips? I am reading his after you sent an email to my inbox. And thank god you did! You must have been reading my mind for sure. I fell apart today after withstanding 4 days in a row of before AND after school meltdowns. It is insufferable! We struggled for 2 weeks with horrible behavior at school, but we are now flipped. Thanks for the tips. I will for sure take them into account. These are fabulous tips. As a mum of four who has been struggling with the ‘after school attitude’ for 5 years, I can’t believe I haven’t thought of these! I will putting them into practice after school today!